Are You Losing Money and Property Value With Your Current Property Manager? 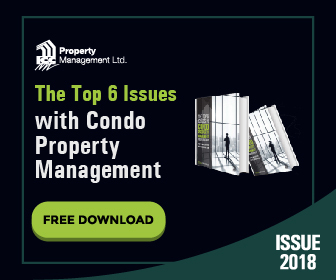 Improve revenues and maintain the value of your Oshawa property with the award-winning team from ICC Property Management. We’re ready to address issues promptly, prevent potential problems, and work to protect your valuable investment. As a part of the Greater Toronto Area, the city of Oshawa, Ontario, offers residents access to the best of city living while providing residents access to country life. With an estimated population of 167,965, this suburban city is the home to a diverse cross-section of residents. Because of their lower average housing prices compared with the rest of the region, Oshawa is becoming an incredibly attractive option for those looking to invest in real estate. And with an estimated annual return of 10.9% over five years, the local market is considered to be one of the highest in Canada. Also, when you factor in ease of commuter travel thanks to frequent GO Train service, it’s no wonder that Oshawa is becoming a popular place in which to settle. When you have investment properties, your top priorities are to keep vacancy rates low while protecting its value. Which is why our founder, Steven Christodoulou, takes a hands-on approach to managing properties. Our experienced and dedicated team are ready to handle all aspects of management for your single- or multi-unit properties. Your Oshawa properties will benefit from our comprehensive list of management services. Regardless of the size and type, our dedicated team will leverage their experience to take complete care of your investment. When emergency or last-minute problems arise, you’ll have the peace of mind knowing that your residents will be able to access 24/7 support. No matter when an issue happens, we’ll promptly take care of it. Operating with full transparency, integrity, and compliance with industry regulations is at the core of who we are. Whether you need extensive preventative maintenance or routine upkeep, our skilled team are committed to keeping your property and residents safe and secure. In addition to our maintenance services, we also offer complete financial and administrative services. We’ll take care of the business side of running your properties, from collecting rents and liaising with residents to providing full financial oversight and reporting services – so you won’t have to. When you need experienced and dedicated Oshawa property management, trust the award-winning team at ICC Property Management. Contact us today for a free proposal and learn how we can help you to maximize the value of your real estate investment.